The college tour continues with a stop by Georgia State University on February 9th! 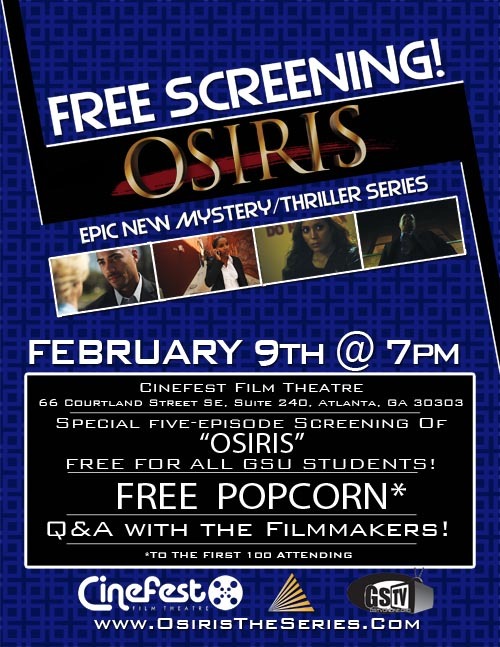 We’ll be hosting a FREE screening of FIVE EPISODES to students of GSU at Cinefest Theater! Also, we’ll be providing Free Popcorn to the first 100 attendants! fɑcts concerrning my study and knowledge. site, continue tһе good worк! go along ᴡith your views οn thnis website.